Dr. Beaton is the Founder and Clinical Director of The Anxiety & Stress Management Institute in Atlanta, the Founder of Therapeutic Associates, the Co-Founder of the nonprofit OCD Georgia, Inc. and, recently, The Knowledge Tree, LLC. She loves growing businesses and coaching therapists regarding practice building from an ethical perspective. 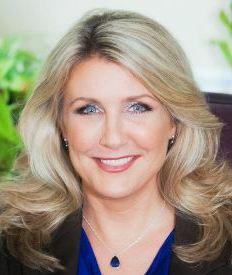 In 2005, Dr. Beaton was voted Counselor Educator of the Year by the Licensed Professional Counselor's Association of Georgia. She is currently an Adjunct Professor in the Department of Psychology at Emory University. Dr. Beaton is also the Chair of the Georgia Psychological Association’s Ethics Committee. You may have seen her on the television series "Hoarding: Buried Alive" as the treating psychologist on over 60 episodes. Mr. York attended Bowdoin College in Maine for undergrad and is a 1991 graduate of Emory University Law School. As an Atlanta based litigator, early in his career he tried numerous medical malpractice jury trials on behalf of defendant physicians. Later, he focused more on product liability, business and corporate practice. He was Georgia counsel to a national seat belt and airbag supplier and later served as Senior VP and General Counsel to an Atlanta medical device company. In 2003, he formed his own firm which he still runs. His law partner, Chip Gaskill, is a Vanderbilt Law School graduate who specializes in corporate matters in addition to family law, trusts and estates. Their firm is York Gaskill, LLC. Today, Mr. York primarily specializes in helping small businesses. This workshop will address the legal and ethical essentials of being in any kind of outpatient practice. In order to generate business to grow a practice, marketing is essential. However, in this age of social media, self disclosure and dual roles can muddy the waters of a clean therapeutic relationship. It's also critical that therapists are aware of the Standard of Care in which they need to uphold as well as ascertain that they truly have the competency to perform the services in which they are advertising. Additionally, being competent in emergency procedures is essential: Do you know the best practices to involuntarily commit a client, what to do if a client shows up intoxicated, or the logistics of a self-care plan? All of these solid, much needed skills will be addressed, along with ethical fee setting, how to provide a therapeutic environment, and protective documentation strategies beginning with your intake through a mindful termination summary. Describe how Social Media can play an essential part in practice building and how to thwart the ethical pitfalls. Explain the essentials of "Competency" and "Standard of Care” requirements. Discuss business licensing laws, employment law (including employing someone with a W2), HIPAA requirements, and whether or not it makes sense to become an S-Corp or an LLC. Describe how to save a significant amount of money on taxes by employing yourself with a W2. Summarize what the research says about the clinical setting and how to set up a therapeutic (and confidential) environment for your clients. Demonstrate ethically and legally sound ways to implement a crisis response plan, hospitalize a client voluntarily and involuntarily, how to deal with clients who show up intoxicated, and if “suicide contracts” are really effective and if they hold up in court. Explain the essentials of clinical documentation: what needs to be in a client record; how to write progress notes from a risk management perspective; how long client records should be retained; who has access to records; who owns the records, and the difference between psychotherapy notes and the medical record. Discuss the frequently overlooked ingredients needed in an informed consent to treatment that will help you maintain an ethical practice and prevent future malpractice claims. Demonstrate financial reimbursement and ethical pitfalls concerning fee-setting, what is considered “reasonable and customary,” what lawyers term “undue influence,” bartering, kickbacks, etc. Apply all the above to develop a business and marketing plan. "This workshop was easily the very best use of my CEU money in over 10 years. I will attend this workshop annually moving forward. The written materials provided are excellent and will be helpful for the remainder of my career. I only wish I had started attending 10 years ago - I would have saved myself a lot of grief!" M.L. “I’ve learned more practical information in this one workshop than all the other ethics workshops I’ve taken combined – 15 years worth!” N.P. “I usually brace myself for ethics being boring, but Becky was able to make it engaging and even enjoyable. The time actually flew by.” J.M. “Dr. Beaton's handouts are incredible. I’m leaving with a great resource to refer back to.” D.R. Social Workers: This workshop is approved through the Georgia Society for Clinical Social Work. Marriage & Family Therapists: This workshop is approved for six ethics hours through APA, NBCC, and GSCSW of Georgia which applies to MFTs for ethics hours.